When you live in Central or West Michigan, it is relatively common to encounter wildlife animals in your attic or basement. Many of these critters also live in or near your yard and will seek refuge in the hidden crevices of your home when the weather is cold and rainy. The BatPro is here to help so that you and your family can live in a house that is safe and wildlife-free. We understand that these wildlife animals can be a nuisance, but many of these critters also carry harmful diseases that can affect the health and safety of you and your loved ones. Wildlife removal services include several steps. The BatPro wildlife control professionals will visit your home and observe your property. 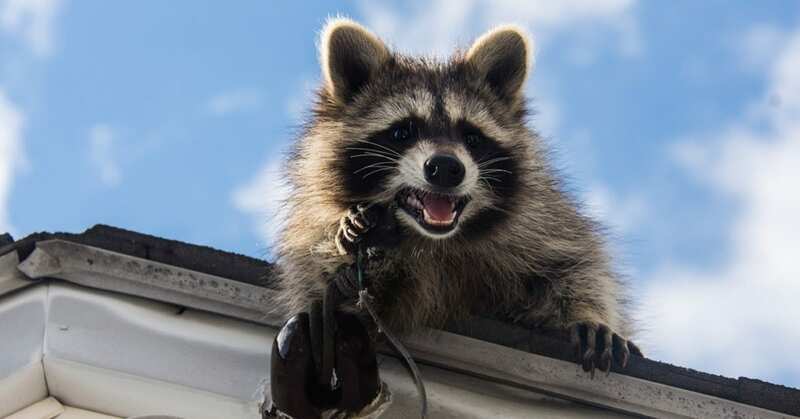 We will inspect the openings in doors and windows, and let you know if there are places in your gutters, attic or basement that need to be cleaned or sealed to keep wildlife from getting in. If wildlife animals are found we remove them the humane way. If there is damage to gutters, siding, flashing, roofing or the chimney the BatPro team can provide property restoration services to restore the area. All of your options will be discussed with you. When it comes to getting rid of bats, nets may be used to trap the bats and remove them from your attic or other crevices of your home. If you have open-water areas near your home, you can expect to see at least a few bats. Mosquitos breed in stagnant water and bats eat mosquitos. Bats can eat as many as 100 mosquitoes per hour. Bat exclusion is another conventional method for getting rid of bats. The bats are lured outside of your home but are blocked from getting back into the residence. To rid your home of squirrels, all vents will be checked to see if squirrels have built nests there and are storing food. The vents will be cleaned and adequately blocked to keep squirrels from reentering. Your home may also be examined to find small holes and openings for squirrels so the openings can be sealed and secured. For bird and raccoon removal, keep the outdoor trash cans properly sealed and empty them often. If there are loose scraps and food debris in and around the trashcan, these animals will continually come to your yard to find nourishment. Birds are also attracted to water, so removing any puddles from around your home can keep the birds from returning. Once evidence of pests is detected, the professional team at The BatPro will tell you how to look for animal droppings and keep your home clean so that the pests will not reenter. We will always provide the most humane ways to remove wildlife and prevent them from being a nuisance in your home. However, it is not our goal to harm the animals; we strive to get as many animals back into their natural habitats as possible. The BatPro is located in Gowen, Michigan, Kent County. We have all the tools, and resources needed to ensure that your home is wildlife and pest-free. We provide the residential wildlife removal and control solutions you and your family can trust. Contact us today for your consultation and to schedule your residential wildlife removal and control appointment. "We're Not Quitters, We Take Care Of Your Critters"